A resolution to consider for 2019 is to stop responding to people that you are “crazy busy.” Yes, it’s probably true that you are over-committed, but most likely it’s a choice. Perhaps it’s because there are just too many positive options, invitations, opportunities that come your way in a given week or month. 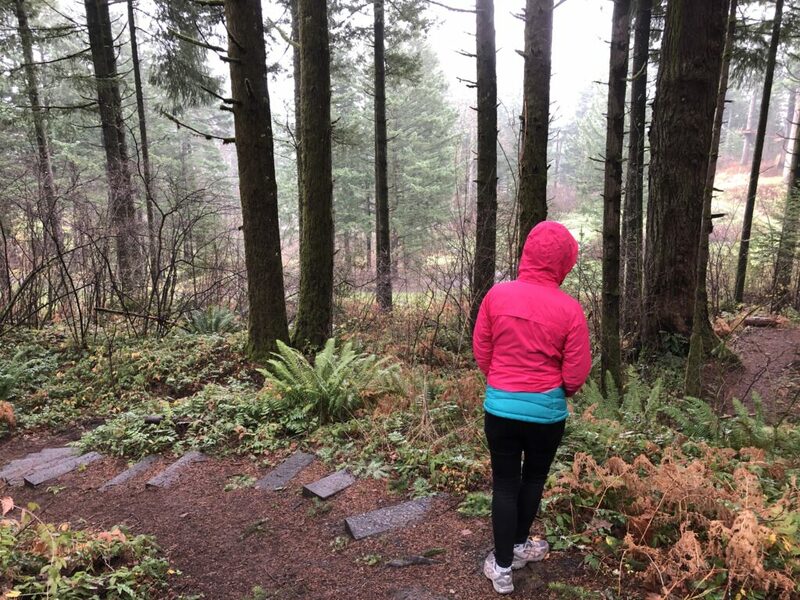 In anticipation of 2019, the Bridgeworthy Traveler booked a trip to the Pacific Northwest to claim some much needed downtime, family time and to ditch technology to rejuvenate ourselves as we headed towards the new year – if only for a couple days. 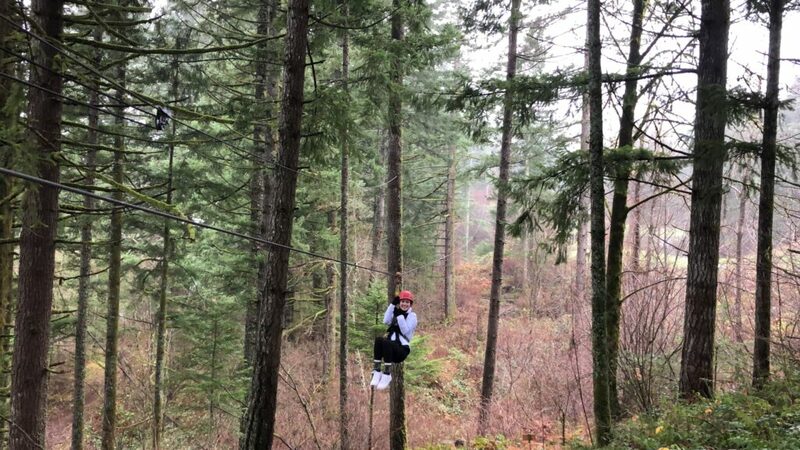 Thankfully, an unusually named resort, Skamania Lodge, delivered a much-needed, rain-soaked, tree-flying, absolutely gorge-ous experience that gave us both head-space and physical space to unwind ourselves as we head into another year. Ok, let’s unpack that unusual name. 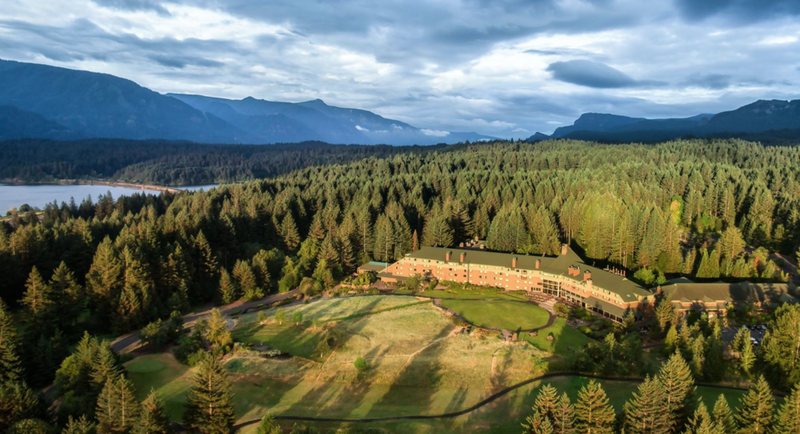 Skamania is a Chinookan word meaning swift water, and refers to the fast-moving water of the Columbia River which the resort overlooks. 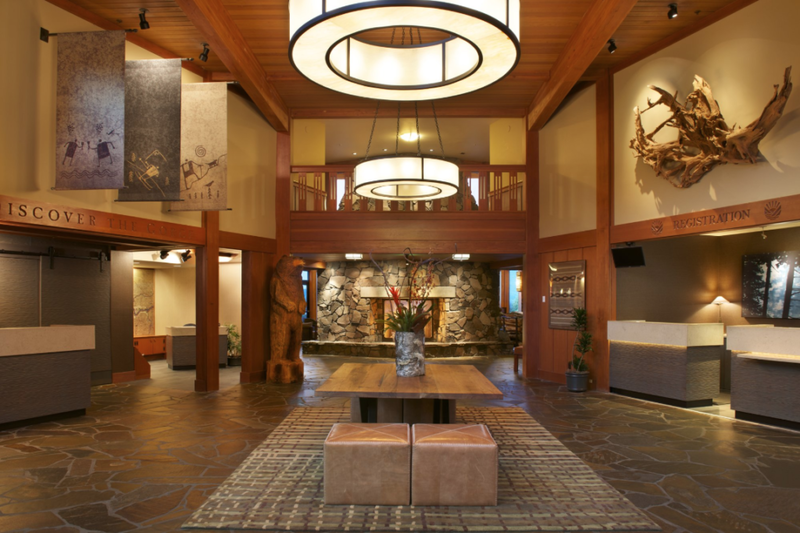 Located in Stevenson, Washington just across the river from Oregon, this peaceful lodge offers over 250 guest rooms (including “tree house” rooms), miles of trails, an 18-hole (par 70) golf course, spa, indoor pool, indoor/outdoor whirlpools, tennis, basketball, zip-lining course, aerial tree course and of course, ax throwing! It was built in 1993 but was designed to honor the great lodges of the early 1900s. 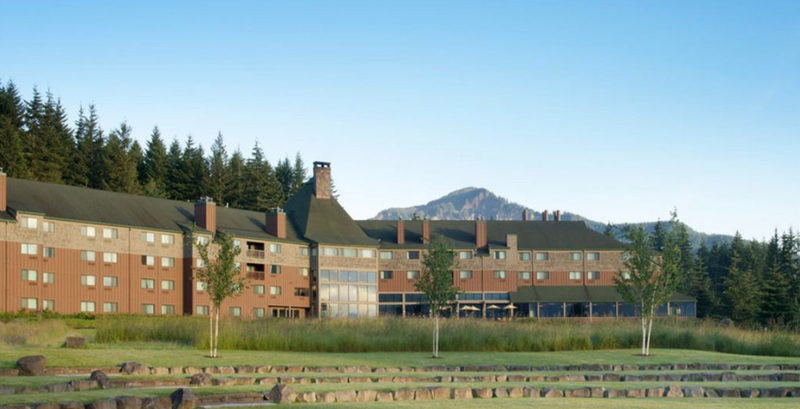 Let’s back up a bit before we jump into the Skamania experience. Our family flew from San Diego to Portland, Oregon in about two hours and 30 minutes. Depending on your arrival time, you may want to caffeine-up at Stumptown Coffee which is conveniently located within PDX. Definitely worth getting a cup of Joe from Stumptown before heading to Skamania. 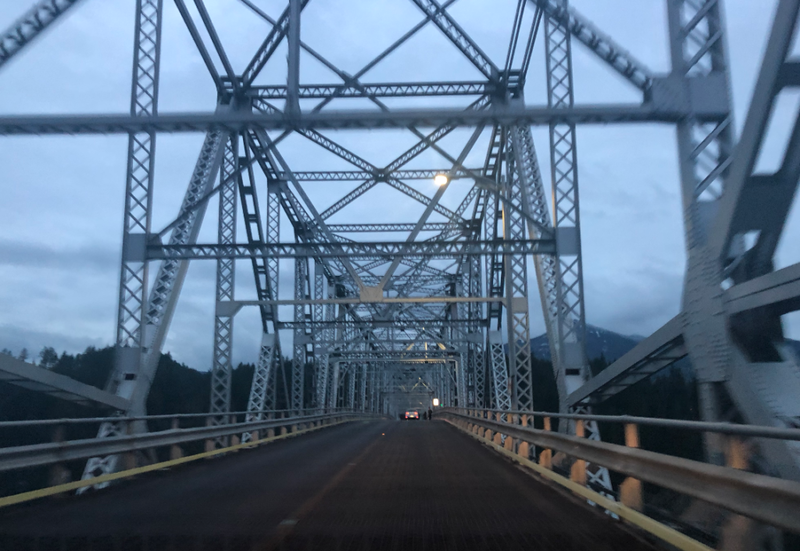 There is plenty to see and do in Portland, but we were rushing to get to Skamania so we could slow down. 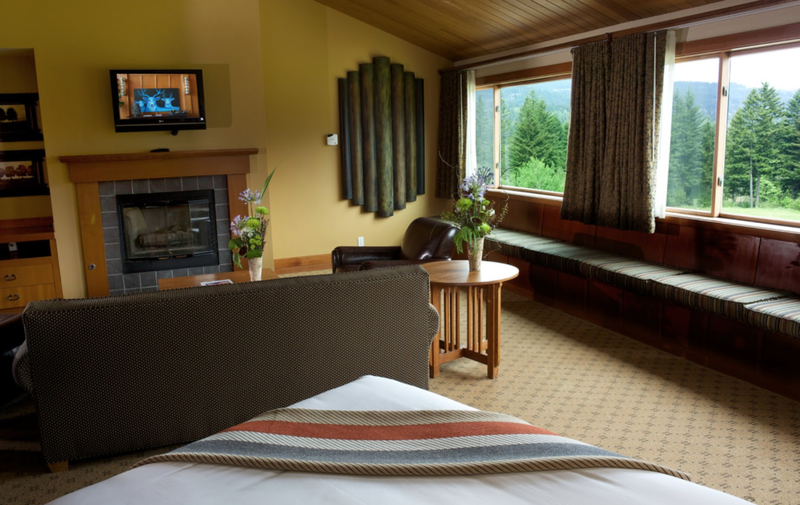 We hopped in our rental car and started the 50 minute scenic drive to Skamania Lodge. Ok, not so much “scenic,” but ridiculously beautiful, nature-infused, now-we-know-the-true-meaning-of-GORGE-OUS drive towards our final destination. 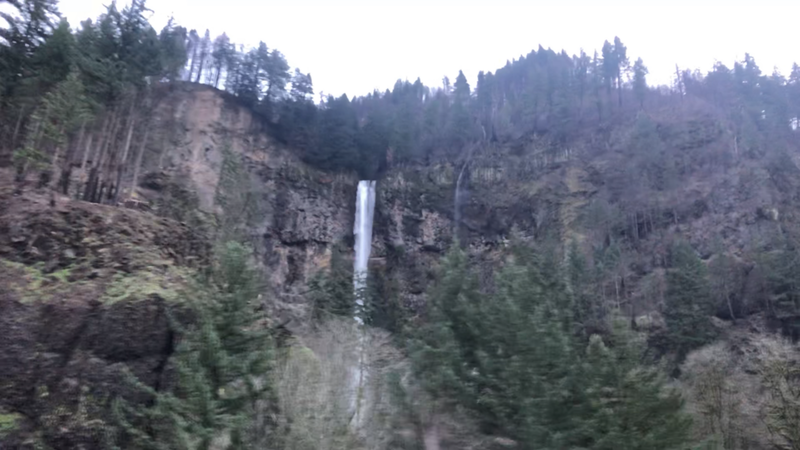 On the left side of the road is the Columbia River and on the right side of the road are dozens of waterfalls, forest and mountains. Not only was it the peaceful beginning that we were searching for, but it was the much needed space that we needed to experience. 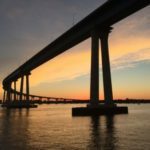 Living in Coronado, you forget what it’s like to see open space or “land.” Of course, we have the ocean and bay, but we don’t have waterfalls, rivers and acres of beautiful forest. One of the many waterfalls we saw driving from Portland to Skamania Lodge. In less than an hour, we were crossing the Columbia River courtesy of the Bridge of the Gods. 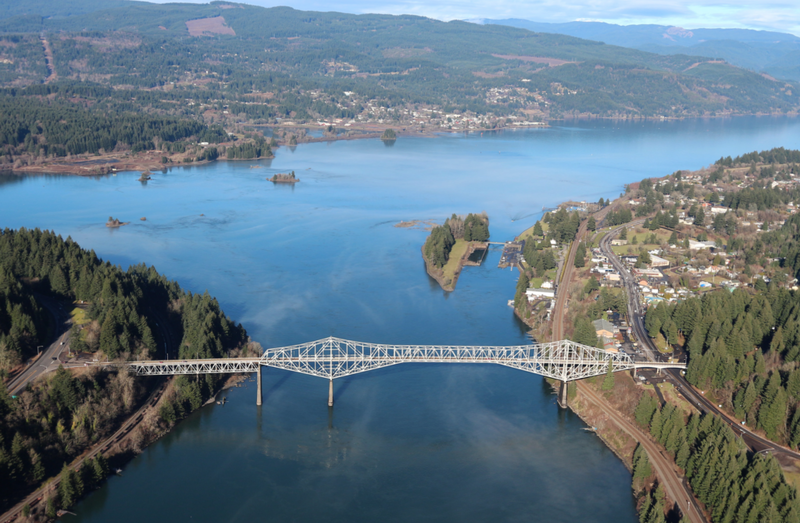 This picturesque bridge opened in 1926 and is a steel truss cantilever bridge that crosses the Columbia River between Oregon and Washington. If you are hiking the Pacific Crest Trail, you will cross this bridge. Bridge of the Gods – Photo credit: Wikimedia Commons. Our view of Bridge of the Gods as we drive over. Upon arrival, the weather was indeed rainy, overcast and a bit dreary – we loved it. Southern California doesn’t get nearly enough rain, so we were thrilled to have a bit of “weather” for the next few days. Plus, none of the planned activities (ziplining, hiking, outdoor whirlpool) required sunshine. 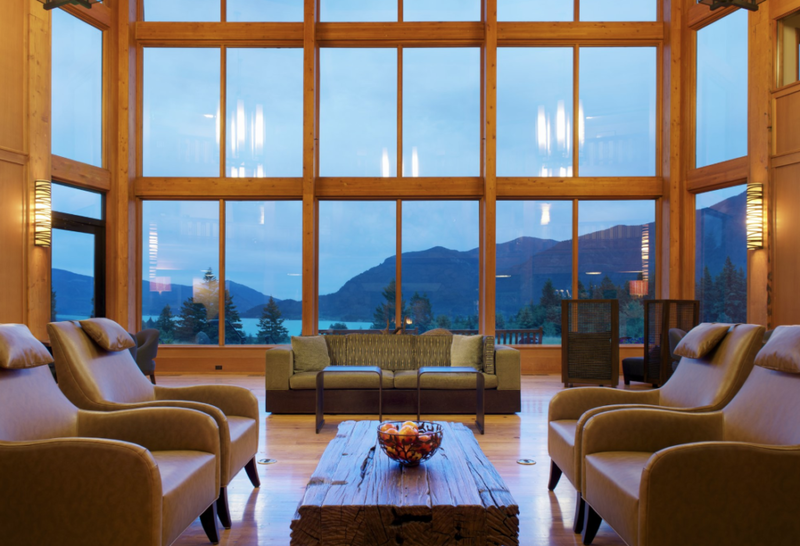 We stayed in the Gorge Suites which are located on the third and fourth floors of the lodge and have sweeping views of the river gorge, mountains, forest and grounds of the resort. 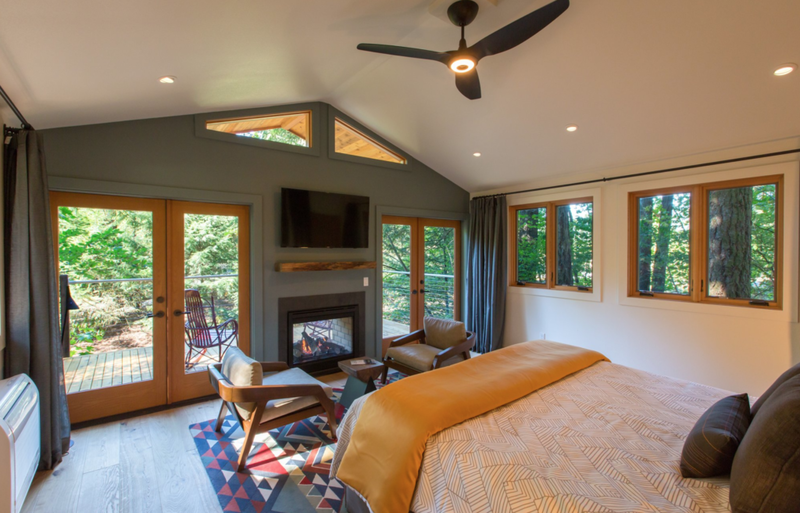 These suites include a king bed, sitting area (with queen sleeper sofa), fireplace, fridge, sink, private balcony and a nightly turndown service. For additional accommodations, visit their website to view guest rooms and the highly coveted, tree houses. 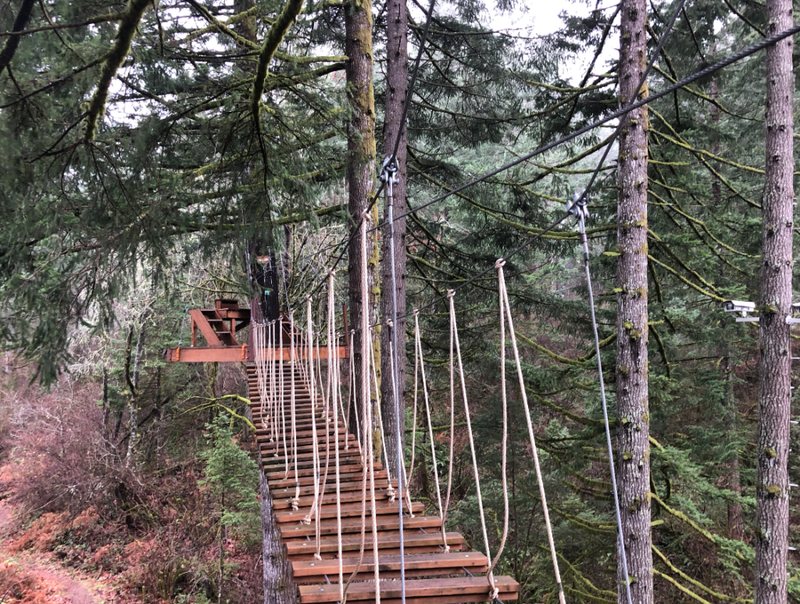 A treetop bridge to take you to yet another launching point along the zip-line tour. Ziplines range from 100 feet to over 900 feet in length. 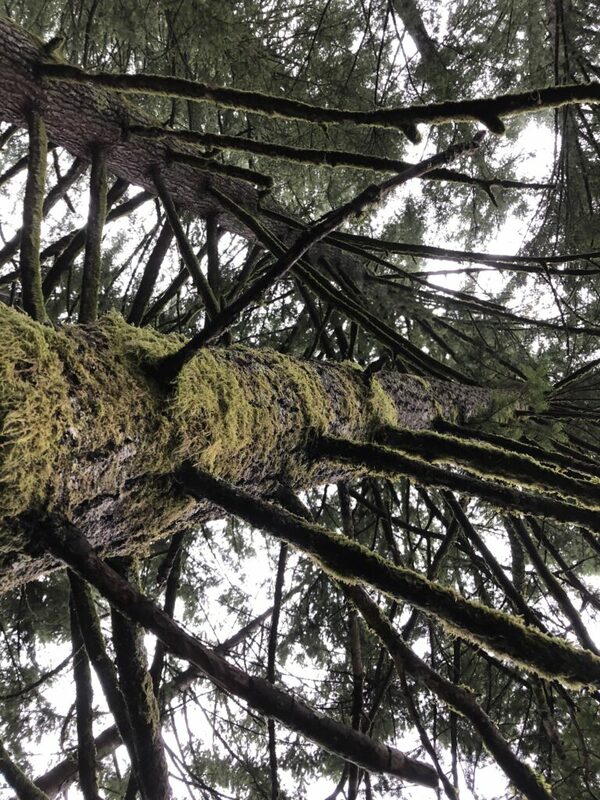 Hiking near Skamania Lodge. This is one of our favorite photos from the trip. After the spending a good chunk of the day hiking and ziplining, it was time to relax in the water features of the resort. 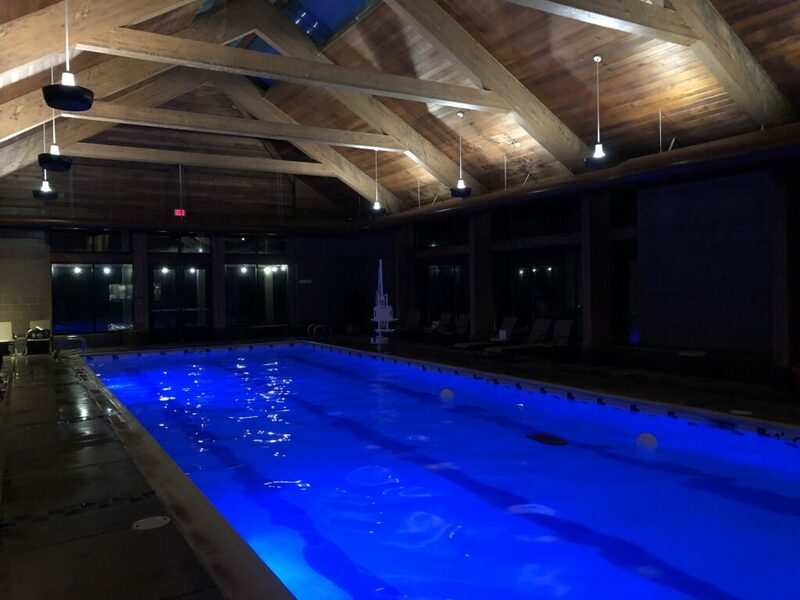 For those wanting an even higher level of relaxation, be sure to check out the Waterleaf Spa located inside the resort. 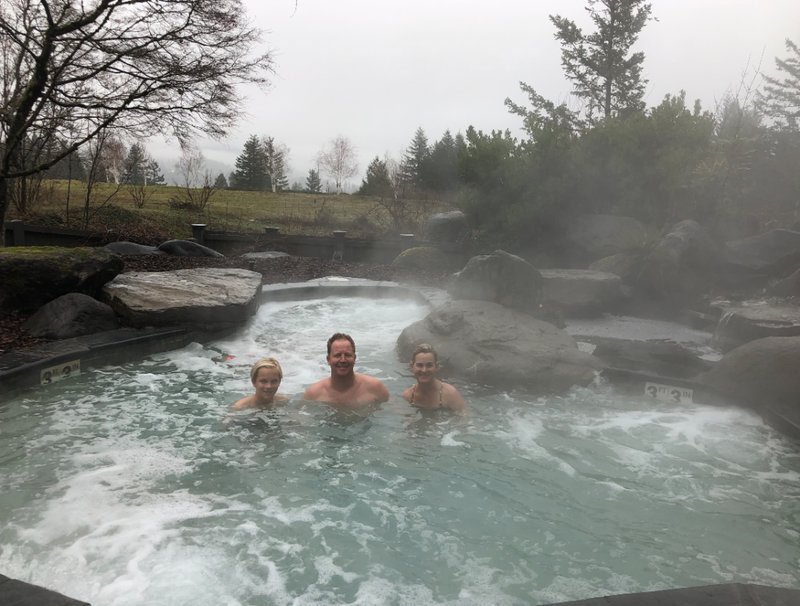 The outdoor whirlpool was a soothing place to unwind – the crisp, cold air was a nice balance to the warm water. Indoor pool at Skamania. Perfect for swimming laps or cannon balls! 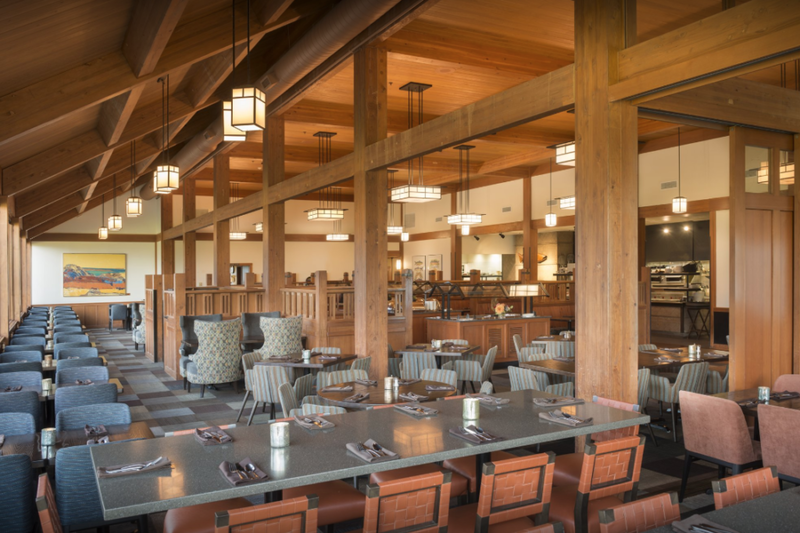 Your dining options at Skamania include the Cascade Dining Room and River Rock. 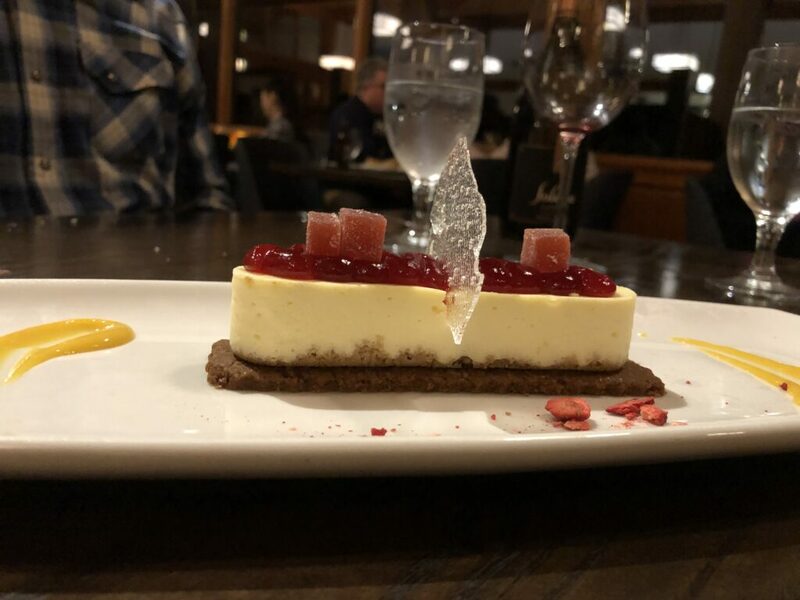 Not only was the food delicious, but the views of the grounds and river served as dessert during our meals. 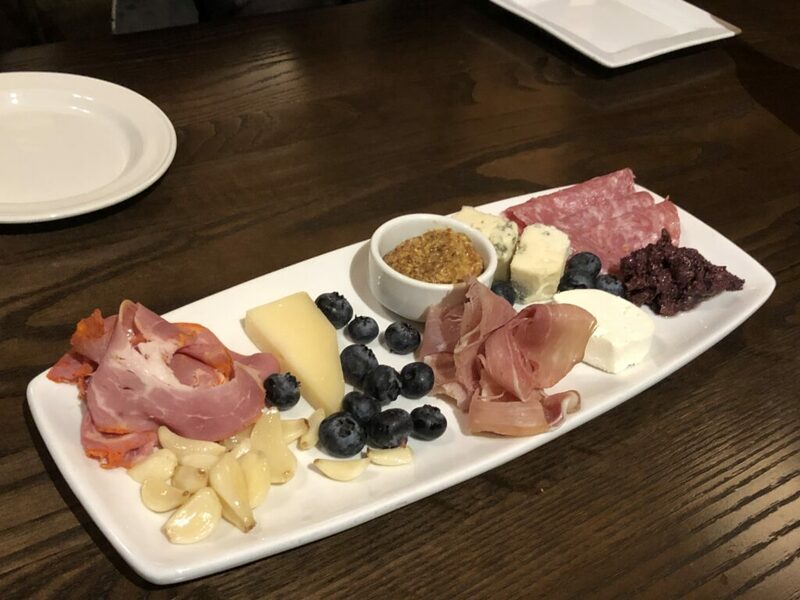 A charcuterie board to start our meal at the Cascade Dining Room. 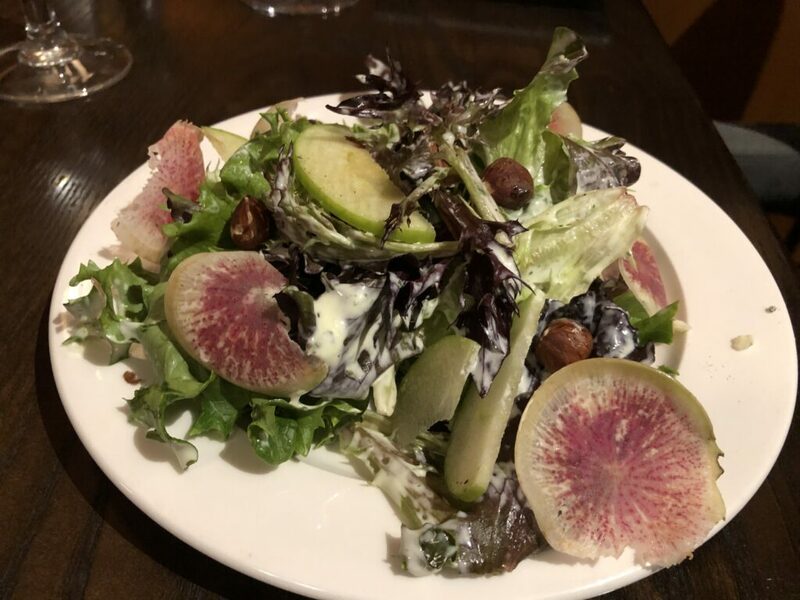 Fresh ingredients in all their salads. 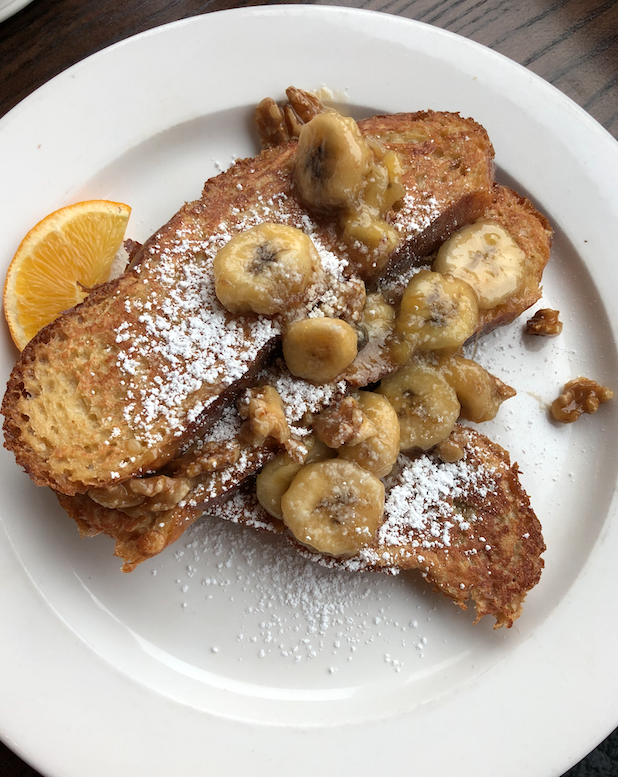 A family favorite for breakfast at River Rock: House-made Challah bread dipped in vanilla bean batter, caramelized bananas, toasted walnuts. 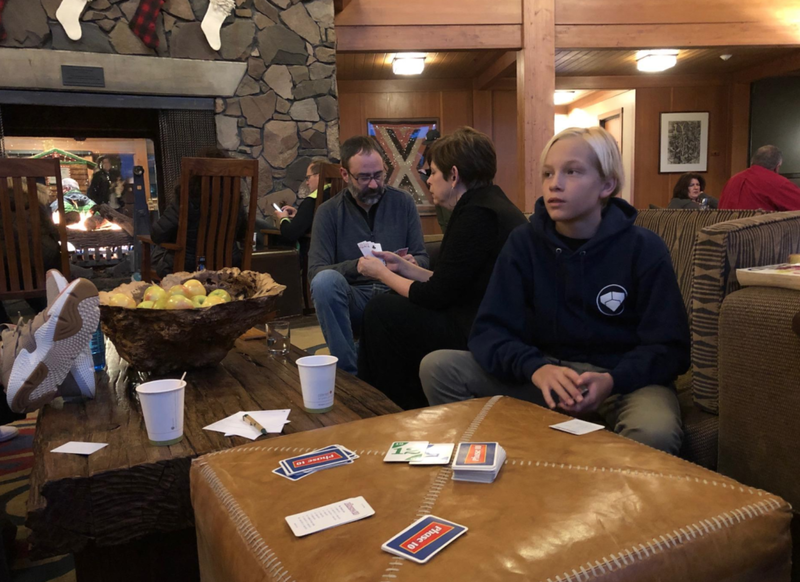 Playing Phase 10 in the “great room” at Skamania Lodge. For more information on planning your escape, visit their official website. Tip: Want to avoid overcast and rainy days, plan visiting in the spring or summer. Of course, we loved the rain, but it did limit some activities. 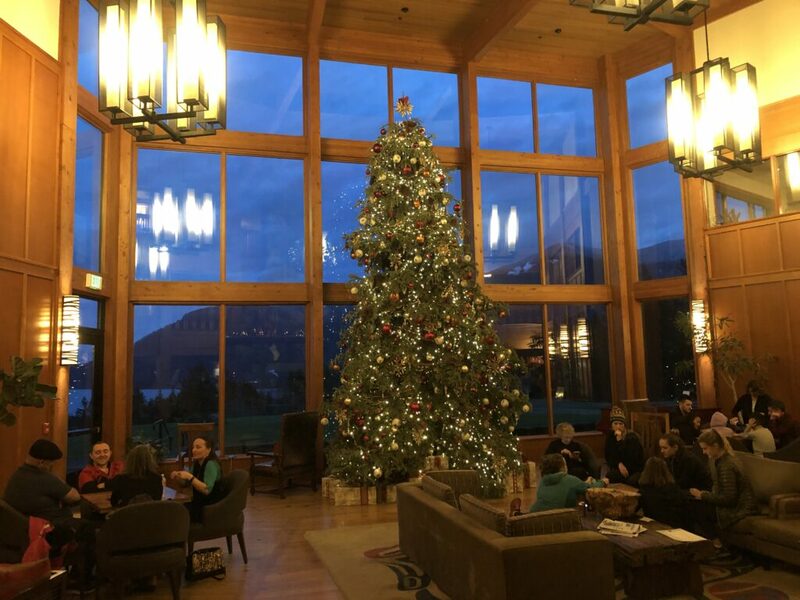 Thanks to the Skamania Lodge staff for the delightful stay and to Kyle Mallory of Sasquatch Agency for arranging the details to make this experience possible.